Get your car sparkly clean for a great cause and bring your kids for our Charity Car Wash Ice Cream Social Event on Saturday, July 22nd from Noon to 3 pm. For a $10 donation, volunteers will spiff up your ride at our Charity Car Wash benefitting the Victory Therapy Center. And, while you wait, Victory Therapy Center will be selling ice cream. 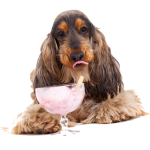 So let the kids decorate their ice cream sundae and enjoy delicious make-your-own ice cream sundaes. So load up the kids in your dirty car and head to Argyle Feed & Hardware on Saturday, July 22nd for a day of sudsy, sweet summer fun all for a good cause! Don’t forget Argyle Feed & Hardware will provide a hot dog lunch from 11am to 2pm. With you every step of the way. 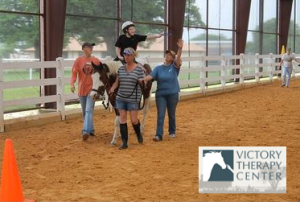 Victory Therapy Center provides therapeutic riding, physical therapy and counseling services by utilizing relationships that their clients form with horses. VTC’s services provide the opportunity for improved quality of life for individuals of all life stages and a variety of physical and emotional needs. For more information, go here. This entry was posted on Thursday, June 15th, 2017 at 12:54 pm	and is filed under Events, Horse, News & Updates. You can follow any responses to this entry through the RSS 2.0 feed. Both comments and pings are currently closed.